Orthodontic Treatments What are the benefits of early orthodontic treatment? 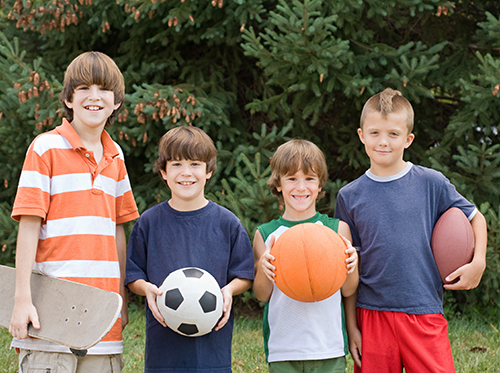 Dr. Michael Wall and our team recommend always wearing a protective mouthguard to participate in most physical sports. We especially encourage this if you have braces that can potentially cut your mouth or cause damage to your teeth. You have various choices to consider when you’re looking for a protective mouthguard. Another option is to have Dr. Michael Wall make a custom mouthguard for you. The mouthguard will be designed with built-in layers to protect both your teeth and braces when it’s worn. Having Dr. Michael Wall create a custom-fitted mouthguard will ensure optimal protection and a comfortable fit whenever you participate in physical activities. Protecting your teeth and braces is essential when you compete in sports. Accidents happen, and having a preventive mouthguard can potentially save you from oral pain and damaged braces. Our Statesboro, GA office is happy to assist you in creating a custom-made mouthguard for any sports activities you want to pursue.